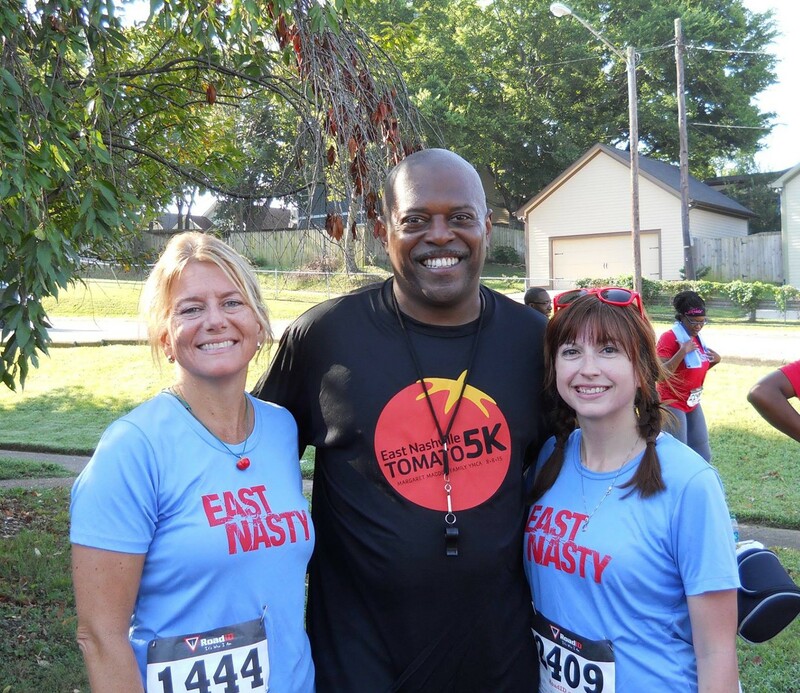 I mentioned before that I was coaching a group of East Nasty’s Potato to Tomato participants. 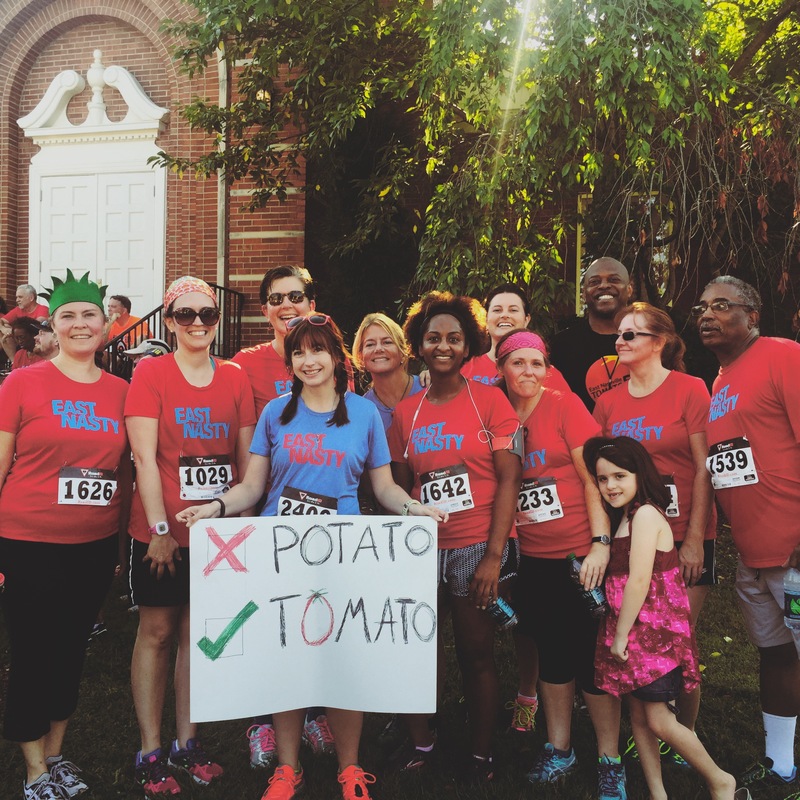 This is an eight week couch to 5k program that culminates in running the Tomato 5k at the start of the Tomato Art Festival in East Nashville. So this race was a pretty big deal! The group was meeting at 7am before the 7:30am start time, so I was up before 6am to get ready and head out. Jonathan came with me to take photos and cheer us on (he even made a sign! ), so we headed out and arrived at our meeting spot around 6:50. We found the group and took a few photos. Everyone seemed a little excited and a little nervous. This would be their longest run to date. The Wednesday before we had gone around 2.6 miles. Soon it was time to warm up. We did some walking and a light jog to the start line. We lined up as best as we could, took some more photos, and then…we were off! Of the coaches in our group, Kym and I had decided to stick with the group pace of 13 minute miles. (Ralph planned on running with his girlfriend, who had sustained a mild injury during training.) A few of our group members took off right at the start, with one finishing at just over an 11 min pace! Running with Monica and Kelley on the final mile! 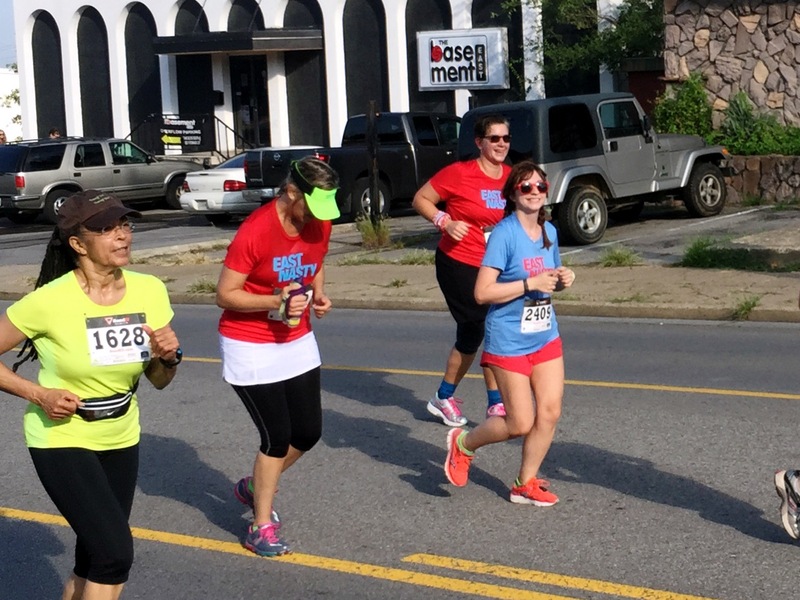 Throughout the race, I bounced between group members, giving motivation and encouragement where I could. On the last mile, I started running with Monica, who was struggling with a side stitch. I told her to just hang on, there were only a couple more minutes left and pointed out that we could see the finish line. She later told me that this gave her the strength to finish, and she even put in a nice finishing kick! We finished in 39:50, with a 12:51 average! I was so, so proud of our group. Group 8 is no longer a bunch of potatoes! We gathered back in our meeting spot for more photos and congratulations, then we were off to walk in the Tomato Parade. The entire Potato to Tomato group. With fellow coaches, Kym and Ralph! I loved coaching this group so much. I received lots of wonderful thank you cards and sentiments from them, but I feel like I should thank them. 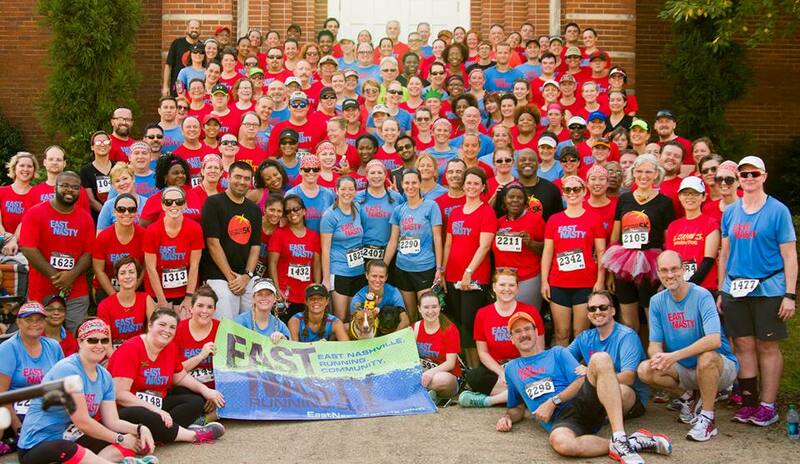 It was just absolutely amazing to see a group of people who never thought they could run for three miles straight accomplish that very thing in just eight weeks. 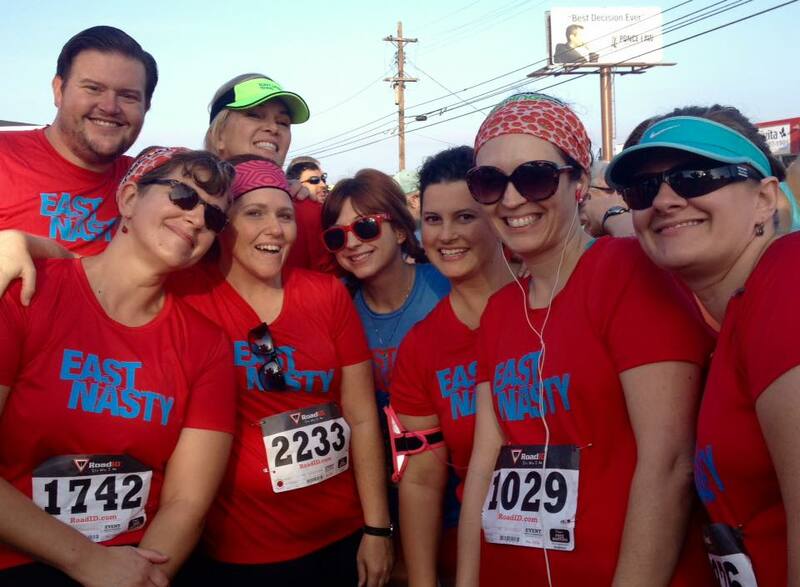 While I will not miss running in the same smelly shirt three times a week, I will truly miss seeing our group (eight is great!). I hope I get to run with all of them again in the future!